The first reading of the bill of ratification of the Comprehensive Economic and Trade Agreement (CETA) between the EU and Canada, which Estonia signed on Oct. 28, 2016, was concluded in the Riigikogu on Wednesday. 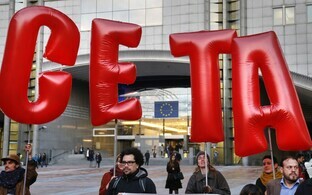 CETA will take effect on a provisional basis on Thursday, after which the agreement would be approved by the EU member states in the Council of the European Union and the European Parliament. The agreement is to fully take effect once all EU members have ratified the agreement. 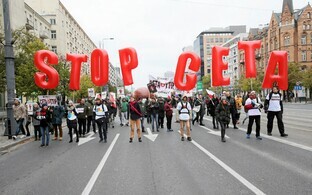 CETA is the most ambitious agreement negotiated by the EU with a third country to date, the Estonian government's communication office said. The agreement will enable European businesses to operate in Canada on the same competition terms as local companies. Estonia signed CETA on Oct. 28 of last year. The European Parliament gave the green light to the signing of the treaty on Feb. 15 this year, following seven years of negotiations. The bill's explanatory report stipulates that the treaty needs to be ratified by the governnment. The agreement will, for example, open the market of public procurements of Canadian provinces and local governments to foreign partners for the first time. CETA will scrap 99 percent of customs duties, most of them as soon as the agreement enters into force and some following a transition period of up to seven years. With regard to industrial products, fish products, wines and spirits, the deal foresees full liberalization. Tariff rates will also be scrapped for export articles important to the EU, including sweets, baked goods, fruit and vegetables. Easing of the rules of origin and mutual recognition of technical standards as well as smoother phytosanitary procedures should also help boost trade. 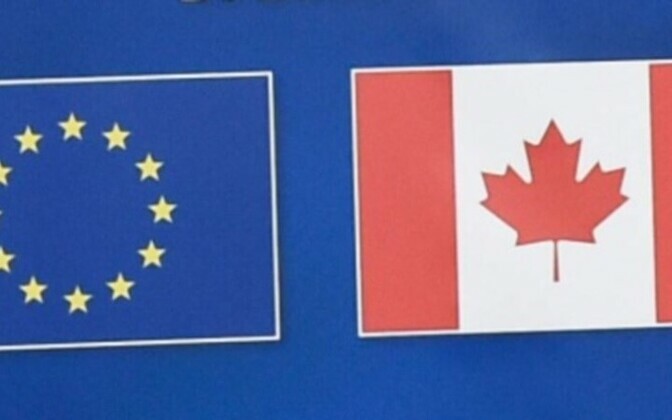 The agreement is seen to offer new opportunities on the Canadian services market to European businesses. The energy, financial services, telecommunications and maritime transport sectors will also be affected by liberalization, and the agreement likewise includes the simplification of movement of temporarily internally transferred specialists and executive employees between the EU and Canada. Estonia has no valid agreement on the promotion and protection of investments with Canada. 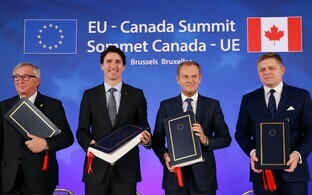 CETA represents the EU's new institutionalized approach to the protection of investments and related disputes. When it comes to investments, the new agreement is significantly more secure legally than bilateral agreements on the protection of investments that Estonia had previously concluded. According to an impact analysis conducted by the European Commission, CETA should increase trade between the EU and Canada by €12 billion annually.